Dance practice for the 2012 Portland Thrill The World dance today! 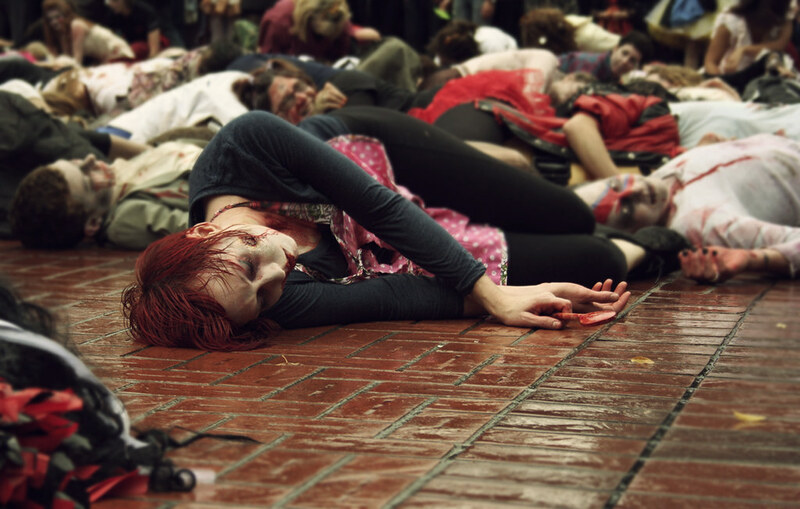 The dance is on October 27th, same day as the Portland Zombie Walk, and they will once again coordinate. There will be a Zombie Walk photographer/videographer, and volunteer meeting in downtown Portland at Jack London bar on Wednesday.